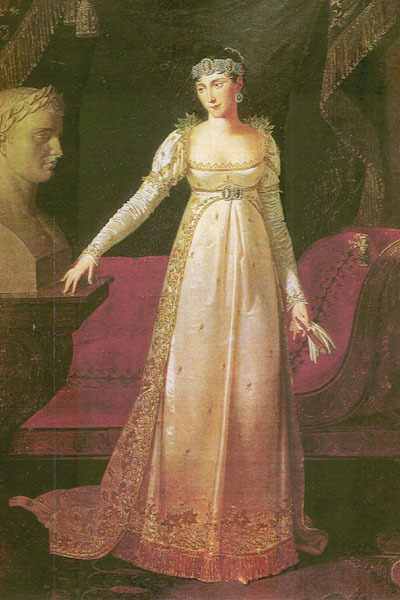 This depicts the new court dress style for women in France under Napoleon. The Princess carries her glove and a delicate fan. She wears magnificent cameos with her heavily embroidered court dress.